will have no excuse for sleeping in class. The city of Ammon building department received site plans this week for a Dutch Bros Coffee shop at the corner of Eagle Drive and Sunnyside Road. In addition to Kohl's and Modern Home, this places Dutch Bros' third Idaho Falls/Ammon location in close proximity to Hillcrest High School. Charlie Allen, Ammon's building official, said the site plans have to be reviewed and the City Council must take action before any ground can be broken. Going by the usual pace of things, he said that ought to be in May or June. Dutch Bros (pronounced as "bros," not "brothers"), of course, is the wildly popular coffee purveyor that opened two Idaho Falls shops last year, on Woodruff Avenue and 17th Street. Based in Grants Pass, Ore., it is the country's largest privately held drive-thru coffee company, with outlets in seven states, with more than 9,000 employees. The company announced in October 2018 it had received a minority investment from TSG Consumer Partners, a company whose food and beverage investments also include VitaminWater, PopChips, Smart Balance and Pabst Blue Ribbon. 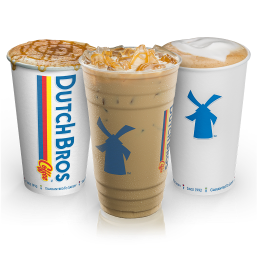 The size of the investment wasn't disclosed, but Dutch Bros said it planned to nearly triple its outlets, from 300 to 800, over the next five years.